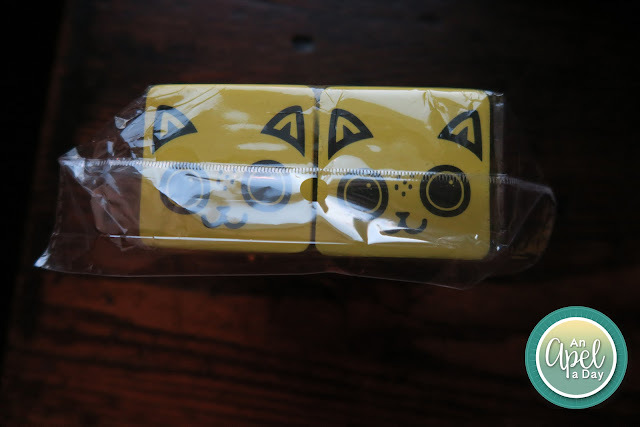 I'm happy to share with you The Cutest Magnetic Whiteboard Dry Eraser Set - Adorable Cat I got to review. They are really cute! The set comes with 12 erasers. That's a lot of erasers! My aunt has a big Easter Egg Hunt for the kids on Easter, so I plan on donating many of these erasers to the hunt. There's 13 kids all together, but I got a set of 12 dogs and a set of 12 cats to review. There's plenty to go around. They came all packaged up with each other. The packaging seemed good, and it shipped really fast! $9.99 for all 12 erasers! Buy one and get 30% off Lovellio's Charming dry erase calendar. I didn't read close enough to know that I could buy a calendar for 30% off. I may have gotten one, or two. I hope they expand to have other animals too. Possibly add a fish, or I'd love a hedgehog set. Cats and dogs are the two animals that most people would have as pets. I don't know if I ever like one over the other. I'm allergic to both. I think cats are fluffy cute, it's nice that they can be on their own during short trips. Dogs are more of a companion, man's best friend - right? Dogs make their owners more active because they have to walk them often. These are so cute! I am more of a dog person, but I do love to play with cats occasionally too.